Four arrested in Windsor vehicle burglary spree. Four suspects were arrested in Windsor for a string of auto burglaries. At about 4:15 AM on Thursday morning, Sonoma County Sheriff’s Dispatch received a call from a homeowner in the 300 block of La Quinta Drive in Windsor stating he saw three suspects trying to break into his work truck. He reported to dispatch that the suspects left NB on La Quinta in a dark colored sedan. It was later determined that the suspects got into the truck’s tool box in an attempt to steal tools. 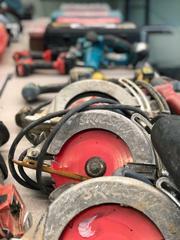 Luckily, the caller had seen a recent Facebook post by Windsor PD about numerous tool thefts from work trucks so they had been taking their tools out of their truck every night. A nearby deputy on patrol for the Windsor Police Department spotted the suspect’s car, a dark grey Toyota Camry and made a traffic stop in the area of Arata Ln and Foothill Dr. Three suspects were detained and taken into custody without incident. They were 20-year-old Crystal Manjarrez of San Pablo, 39-year-old Minerva Razo-Venegas of Vernalis and 24-year-old David Coyt Jr. of Richmond, CA. 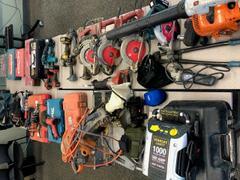 In their car was a load of power tools, hand tools and miscellaneous property that appeared to have been taken from recent vehicle burglaries. Sheriff’s Detectives were called in to assist with the case as there have been 153 reported auto burglaries in Sonoma County since November 1, 2018. During the course of the investigation detectives learned that these suspects have been coming to Sonoma County almost every night and committing 5-10 auto burglaries before returning home and immediately selling the stolen property in the Richmond and Concord, CA areas. As part of the follow up investigation, detectives from the Sheriff’s Property Crimes Unit served a search warrant at a Budget Inn Hotel on N Texas St in Fairfield, CA where they found more stolen property from Windsor residents. At the hotel detectives also located and arrested 25-year-old Jesus Peralta of San Rafael who was in possession of the additional stolen property. During the morning hours of Thursday, January 10, patrol deputies from the Windsor Police Department received seven calls from residents who had their vehicles broken into over the evening/early morning hours. Sheriff’s Detectives have been contacting these victims and have been in the process of returning the property to the victims and also located two others in Healdsburg who had their cars broken into on the same morning. The investigation is ongoing however the only stolen property in Sheriff’s possession at this time is believed to have been stolen on the evening or early morning hours of January 9th and 10th. All four suspects have been booked into the Sonoma County Jail on charges including burglary, conspiracy and possession of stolen property. Detectives were able to get a bail enhancement on all suspects. Coyt Jr, Razo-Vengas and Peralta are being held on $100,000 bail and Manjarrez is being held on $150,000 bail due to a previous theft warrant.